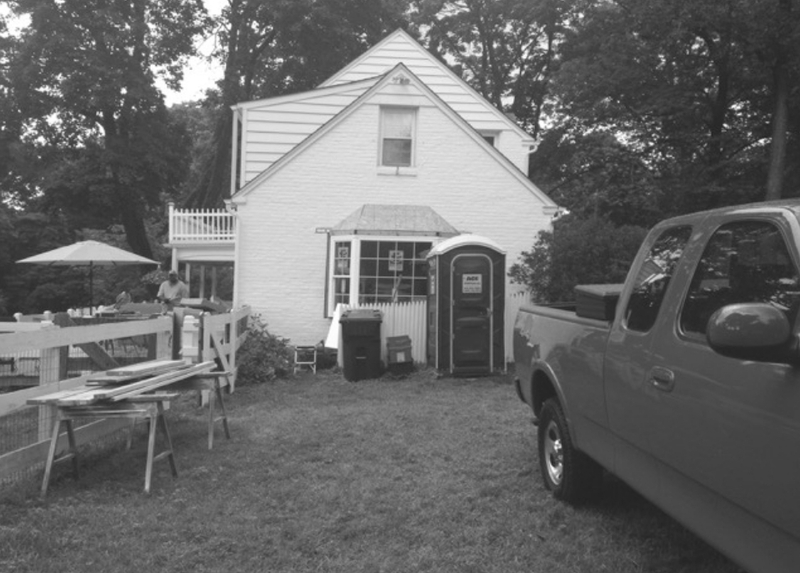 A Case Study in Wayne, PA: Kitchen Renovation and Garage Conversion - Cottage Industries Inc. The project started with an in-home consultation which quickly revealed this was a client who had a vision but needed help putting it into reality. Having owned the home for two years, she knew how everything should look, in terms of character, function, and feel, but the challenge was to overcome the limitations of the square footage and quirks of the home. The design was handled by Nick Walker, Principal, and construction was entrusted to our project manager, Jarrod Fogleman. 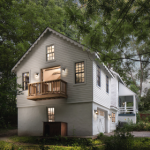 The original design contract called for renovating and expanding the existing kitchen into the existing garage, as well as building a two-story detached garage with an office above. But through several iterations of design – and after considering local zoning restrictions – the client decided the best use of her budget was to eliminate the separate garage for the time being and focus on the kitchen expansion. The design was completed by the end of the following February, and it was determined that the existing garage would be converted to a dining room, and the existing kitchen and dining room would be renovated into a larger kitchen and sitting area. There would be a large cased opening between the two spaces to make them as connected as possible. Design-wise, the biggest challenge was blending the converted garage into the rest of the house so that no one would suspect its previous life. We wanted to pay careful attention to exterior details like filling in the old garage door opening with matching brickwork, matching shutters and hardware on the new window, and duplicating the copper roof on the bay window to match the one on the front of the house. Interior details that needed to be reproduced to maintain the look and feel of the quasi-historic home included the radiators recessed into the wall and the built-in cabinet in the dining room. On the human side (or should we say canine) the big challenge was the client’s not-so-friendly dog. Thankfully, a friend agreed to take care of the pooch while the work was ongoing. The client was also able to move out and stay at a neighbor’s house during the demo, excavation, framing, and roofing phases, which made things much easier for her as well as for the workers. This small 1940s Colonial Revival house had the closed-off spaces typical to this architectural style. The client and her fiancé are young professionals with no children, so the decision was made to forego a family room and instead open up the kitchen and dining room and turn them into a larger kitchen with seating area. The client also wanted to turn the attached garage into living space, so making it into a new dining room made the most sense. One of the nice features of the design is that, if desired in the future, the dining room can easily be used as a family room, with the sitting area off the kitchen being large enough to be an informal dining area for four. The original kitchen and dining room were completely gutted. 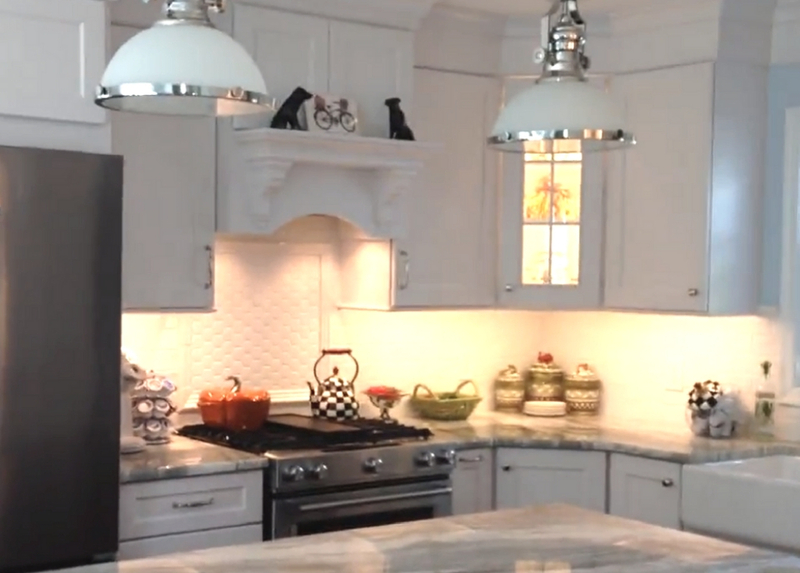 To give the kitchen a more open feel, the cabinets were painted white and some were given glass doors. A large granite-topped island with formal chairs gives the room a warm, inviting feel. The same granite was used for the new counters. 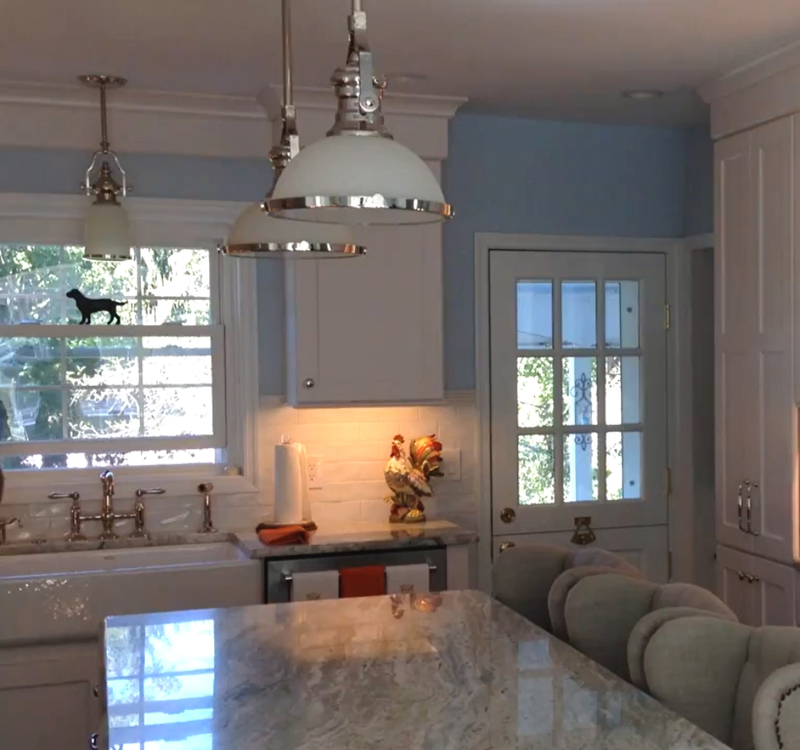 New pendant lights that call to mind the home’s original era were suspended over the island and undercabinet fixtures were added for task lighting. 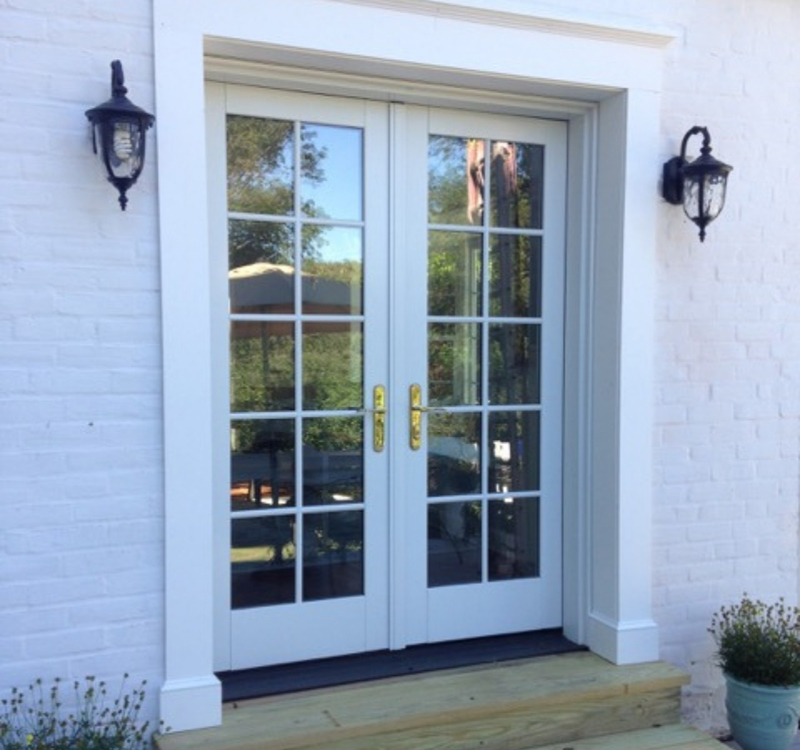 A personal touch that the owner requested was the beautiful Dutch door that leads to the backyard. The most challenging part of the project to design and execute was making the dining room work. Our goal was to make the garage look like it had been a dining room all along and to make the flow and comfort of the room work well. A wide arched opening (which matched an existing arch in the living room) was made between the kitchen and new space. Two of the most striking new features we added were the new bay window with copper-roof added to the side wall, and the French doors that lead out to the beautiful backyard. The bay window includes seating, giving the room a more spacious feel. 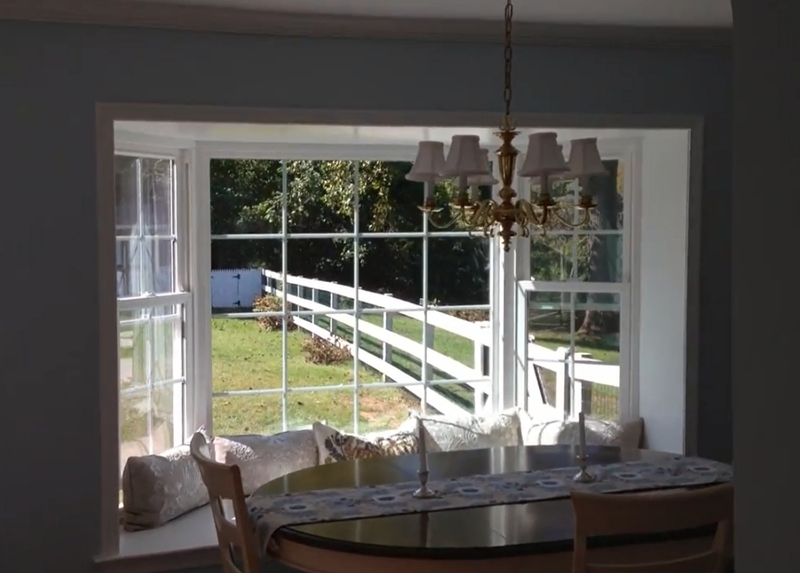 It also matches the existing bay window in the old dining room. This works really well to give the impression the new dining room was part of the original house. All new ¾” pre-finished wood flooring throughout all three spaces. To give a nice sense of flow, the flooring was laid in the same direction throughout. 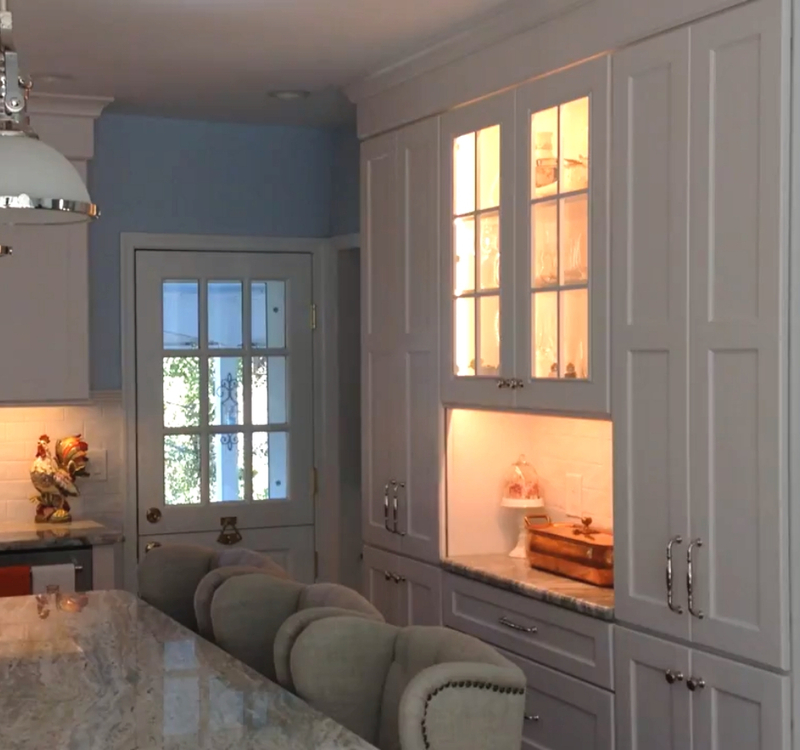 Custom cubby cabinetry was built by the front window. A new A/C system was installed to replace the old window units. This 1940s house was a wonderful project. The owner was a terrific person to work with and was a real part of the team. Not only did she have a definite vision for the space, she went out of her way to make the job go as smoothly as possible – staying with a friend during demo and boarding her dog who wasn’t happy with the disruption! At Cottage, we put a lot of special care into the smallest details on every project. A good example on this job was the brickwork on the exterior of the new dining room where the old garage door was filled in. 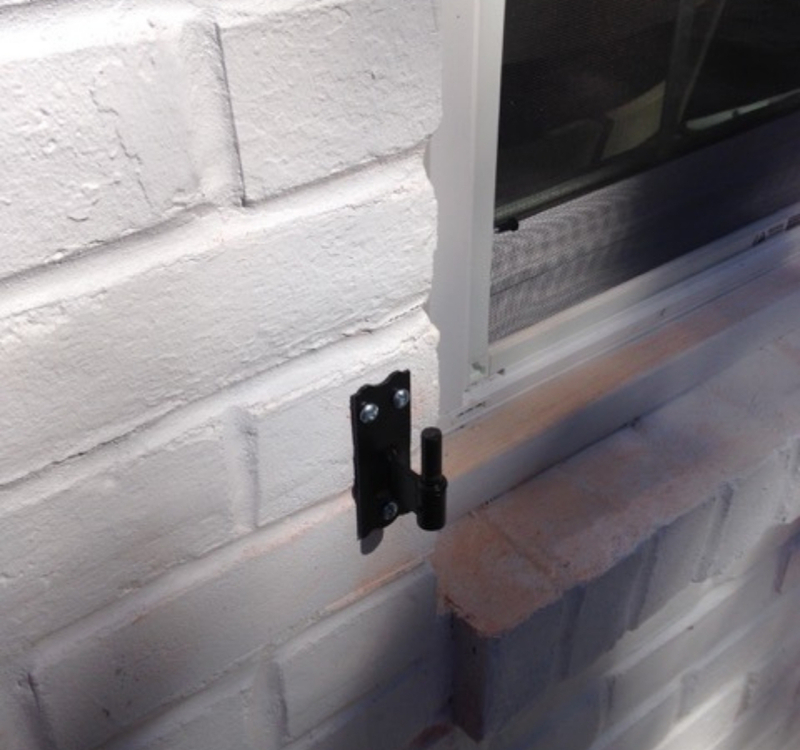 The brick was laid perfectly and then painted to match the rest of the house. The exterior trim, including matching shutters and hardware were carefully selected to match the original home. When we can’t tell where the old ends and the new begins, we feel as though we’ve succeeded! I cannot express how happy we are with the work we had done by Cottage Industries. From day one their goal was to help us plan and accomplish making our dreams come true. We went through many options until we landed on the perfect plan, all along considering budget. They were very upfront and candid about cost which helped us financially plan as well. We now have the most beautiful kitchen and dining room (that used to be a garage)! They paid attention to every detail that was important to us, most importantly keeping the integrity of our home’s character. We would absolutely recommend using Cottage Industries and plan to do more work with this company in the future.